300 True Accounts of People Healed by Extraterrestrials. The answer, of course, is yes! In this landmark book, The Healing Power of UFOs, leading UFO researcher, Preston Dennett, presents a fascinating compilation of more than 300 cases of people who have been healed by extraterrestrials. Supported by firsthand eyewitness testimonies, stretching back more than 100 years to the present day, coming from across the United States and the world, this book proves that healing humans is one of the primary alien agendas on our planet. Verified by doctors and leading UFO researchers, the UFO healing cases represent incontrovertible evidence of UFO reality. Preston Dennett began his research into UFO healings in the early 1990s. His first book, UFO Healings (1996, Wild Flower Press) was the first book published on the subject, and presented more than 100 cases. This new volume presents the original cases (with new information) plus 200 more, many of which have never been published before. Preston Dennett has been documenting and researching healing cases for more than 25 years and is the world’s leading expert on UFO healing accounts. This landmark book is the culmination of his research and settles the question once and for all that medical healings as the result of a UFO encounter do actually happen. · More than 70 healings of injuries. · More than 50 healings of colds, minor illnesses and ailments. · More than 120 healings of serious illnesses and chronic diseases. · More than 40 healings of cancer. · Cases involving healings of animals and even plants. · A study of the connection between UFO abductions and psychic healing. · Accounts in which people have been “rescued” by ETs. · A study of miraculous cures from angels, NDEs, OBEs, lightning strikes, past life therapy, Native American ceremonial healings and more. · Evidence that our governments have obtained UFO healing technology and are using it for themselves. Who is being healed and why? What types of ETs are doing the healing? How are these healings being done? Are ETs our friends or foes? This massive 500-page book dives into the heart of the phenomenon and answers all these questions and more. Ignored for far too long, the UFO healing cases show a positive aspect to a phenomenon that has been saturated with disinformation for decades. The truth can no longer be denied. The aliens have arrived and as this book will show, one of their primary missions is the healing of all humanity. ​Welcome to Volume Three of "Not from Here: Selected UFO Articles." Like the previous volumes, this book delves deep into the heart of the UFO phenomenon, exploring the stranger and more unusual aspects of extraterrestrial encounters. Each chapter covers a specific area of research, revealing new answers and insights that just might change the way you view the UFO phenomenon. Ten chapters, each exploring a unique area of the UFO phenomenon. Supported by cases from early history to the current day, coming from across the United States and the world, “NOT FROM HERE: VOLUME THREE” makes a valuable contribution to our understanding of these strange visitors to our planet. Fully illustrated by Christine Kesara Dennett. Although abduction reports number in the thousands or more, almost nobody ever sees an abduction happen. Or do they? The answer is yes, as these cases prove. While seeing a UFO can be an exciting event, it sometimes comes with hidden dangers. Many witnesses find themselves victims of ridicule and disbelief. Sometimes, seeing a UFO can even cost a person their job. In very rare cases, aliens give people gifts, actual physical proof of their encounter. It almost never happens, but when it does, the results are astounding. With their remarkable abilities to dart around silently in the sky, and abduct people at will, the ETs are clearly more advanced than humans. But they are not perfect. Sometimes they make stupid mistakes. · CAN WE CONTACT UFOS WITH A OUIJA BOARD? While most people use a Ouija board to communicate with spirits, there are now a growing number of cases in which the board is used to contact ETs. These cases provide some startling insights into the nature of the UFO phenomenon. UFOs are known to be attracted to highly specific areas: nuclear power plants, dams, military installations, airports, and other technological areas. What is little known is that they are also attracted to prisons. The question is, why? · IS JESUS AN ALIEN? It’s a question that’s been asked many times, with much speculation but little supporting evidence. The truth is, there are a number of cases from across the world in which people claim to have met Jesus aboard a UFO. · IS BIGFOOT AN ALIEN? Most UFO cases do not involve Bigfoot, and most Bigfoot cases do not involve UFOs. But in a tiny percentage of cases, these two phenomena perfectly intersect, revealing a mysterious and powerful connection that has yet to be fully explained. It’s a subject that’s received much ridicule and media attention, but little serious analysis. Are people actually being anally probed by ETs? And if so, why? What exactly are the ETs looking for? The aliens seem to be on a mission. In case after case, abductees are taken into the engine room of a UFO and told how it works. In a few of these cases the abductees have used their knowledge to actually build an engine based on what they learned from the ETs. For 100 years, strange activity has been occurring off the southern California Coast. Mile for mile, this area is one of the top producers of USOs (unidentified submersible objects) in the entire world. Drawing on firsthand testimonies from the Navy, Air Force, Coast Guard, police officers, lifeguards, residents and many others, Preston Dennett presents a compelling case for the possible existence of an undersea UFO base. Sightings of weird lights, anomalous glowing clouds, objects flying in and out of the water, mass UFO sightings, humanoid encounters--they’re all here. More than ten years of research, presented here for the first time. The truth about this area can no longer be denied: something very strange is lurking in these waters. --more than 70 cases of UFOs over the water. --more than 70 cases of USOs in the water. ​--original never before published cases. --firsthand eyewitness testimonies from a wide variety of military witnesses. --mass UFO sightings, some involving hundreds of objects. --humanoid encounters, including abductions to an apparent base. --a behind the scenes look at the History Channel’s Deep Sea UFOs 1 & 2, and UFO Hunters: USOs. --maps showing the location of all the activity. --photographs of UFOs and USOs, witnesses and encounter locations. --original USO accounts from across the world. While most UFO books are re-hashes of old cases, “Inside UFOs” presents the cutting edge of UFO research with ten all new original cases of extensive contact. A wide variety of ETs are presented, including various types of grays, Praying Mantis-type ETs, humanoids and Nordics. The witnesses are normal everyday people who suddenly find themselves in very unusual situations. The unique and unusual nature of the cases in this book will surprise even those well-versed in the UFO literature. ​· A Navy Corpsman is invited aboard a UFO by his shipmate, only to meet fifteen-foot tall friendly Praying Mantis-type ETs. · A young child experiences an encounter with Nordic ETs that marks a lifelong series of contacts. · A paperboy encounters a UFO and missing time, leaving him with an undiagnosed illness and a mystery that remained unsolved for years. · An office-worker is confronted by a nine-foot-tall praying mantis, only to discover that she’s also having contact with gray-type ETs too. · A teacher stops on the road when a huge metallic sphere drops from the sky, and out steps a handsome-looking spaceman. · A new mother is shocked to see an alien right outside her window, staring intently at her newborn son. · ​A desperately ill housewife is transported from her home into an unknown base and cured by an eight-foot tall orange-haired humanoid. · A young farm-boy encounters UFOs on his family’s farm, beginning a very close and lifelong relationship with ETs. ·A Navy Electronics Specialist has a complex UFO encounter aboard a Navy Ship, and is taught by the ETs about alternative energy sources. ·A nursing assistant experiences a life-long series of missing time incidents culminating in a fully conscious encounter with gray-type ETs who attempts to answer all his questions. Why are the aliens here? What is their agenda on our planet? Are they hostile or benevolent? This book answers these questions and more, directly from the witnesses’ themselves. This is not just another book about abductions by grays. This collection of true UFO stories shows how fascinating and bizarre extraterrestrial contact can be. ​To purchase the book on Amazon, click here: INSIDE UFOS: True Accounts of Contact with Extraterrestrials. ​Hit #1 on Amazon's Best-Selling UFO books! ​Colorado has been a UFO hotspot for more than 100 years. This is the first book ever to present a comprehensive history of extraterrestrial encounters in the Centennial State. Inside you will find a dazzling array of sightings, landings, face-to-face encounters, onboard encounters and even UFO crash/retrievals. Colorado UFO cases have had a profound effect on UFO research. The 1967 mutilation of Lady the horse in Alamosa introduced the world to the animal mutilation phenomenon. The 1995 videotape footage by Tim Edwards of a UFO over Salida remains some of the best ever recorded. The extraterrestrial experiences of Denver businessman Stan Romanek are among the best-verified in UFO history. The San Luis Valley in southern Colorado has produced hundreds of cases and is one of the most active areas on the planet. This book will explore these famous cases and many others that have never been published before. Arizona has been a UFO hotspot for more than 100 years. This first-time comprehensive history of extraterrestrial encounters in the Grand Canyon State includes 81 locations that provide a dazzling array of sightings, landings, face-to-face encounters, abductions, and even UFO crash/retrievals. Read about some of the world’s most influential alien events that have taken place in Arizona, including the Paradise Valley UFO crash, the Travis Walton Abduction, the Phoenix Lights, and many others. Explore both well-known and never-before-published cases. Examine the research of pioneering investigators James McDonald, one of the first scientists to explore UFOs, and Coral and Jim Lorenzen, who formed the Aerial Phenomena Research Organization (APRO), the first successful UFO citizens group. Connect with the ongoing story of Sedona, one of Arizona’s major UFO areas. Join in on an exploration into the magic and mystery of Arizona’s UFOs. One of the hidden dangers of being a UFO investigator is becoming investigated by the UFOs themselves. It’s a clear-cut case of the hunter becoming the hunted. What exactly is our relationship with extraterrestrials? In some cases, it might be much closer than you think. In fact, there is good evidence that aliens and humans are related. The technological ability of ETs is astounding, including the power to shrink or enlarge things, including both people and their own ships. Angel Hair is a rare substance ejected from UFOs. Nobody knows what it is, and only a handful of cases exist. It’s a mystery that has baffled ufologists for decades. Aliens have multiple agendas, including--as these cases show--the systematic study and collection of plant-life from our planet. ETs have been known to intervene in human affairs on many occasions. However, only a few people have reported being rescued from a sinking ship by a UFO. It’s an area of ufology that has received almost no attention. What do UFOs smell like? And what do their odors reveal about the phenomenon? The answers are surprising. One of the rarest and most bizarre procedures performed onboard a UFO, the UFO breathing pool involve cases in which people are submersed in a breathable liquid. In some rare instances, when people are taken onboard a UFO, they are made to consume an exotic alien liquid. The question is: why? UFOs are keeping a very close eye on humanity’s exploration of space. When it comes to rocket launches, somebody out there is watching us. As these cases will show, our space program is being closely monitored by aliens. Preston Dennett has written twenty books and more than 100 articles about UFOs and the paranormal. A seasoned investigator with 30 years of experience, he is a leader in the field. This book represents the culmination of his many years of research. For the first time, Dennett has released a collection of ten articles from his vast stock of more than a hundred. Each article is original and appears here in book form for the first time. Have you ever wondered what extraterrestrials tell people when they are taken onboard? "Conversations with Extraterrestrials" has the answer. Aliens contact people in many strange ways, including by phone! "Phone Call from an Alien" presents several of these bizarre and rare cases. "UFO--Don't Shoot" provides a historical overview of cases in which people have shot at UFOs. "Alien Zoos" is about people who have seen collections of animals aboard UFOs. Each article is different. "UFOs over Graveyards" is a creepy collection showing a little known fact: UFOs are very attracted to cemeteries. Many people may be surprised to find that alien encounters can happen anywhere. "They Walk Among Us" presents cases in which people have seen aliens walking among the public, including restaurants, convenient stores, subways, buses, campgrounds, casinos, schoolyards, gas-stations and more. "The Alien-Clown Connection" examines while so many abductees suffer from "coulrophobia" or fear of clowns. As many researchers have found out the hard way, there appears to be a ruthless coverup of physical UFO evidence. "The Intimidation and Murder of UFO Witnesses" shows just how dangerous it is to be a UFO witness or investigator who has gotten too close to the truth. "Exposed--Project Redlight" examines several cases in which people have observed what appear to be human military-piloted UFOs. Finally, "Mining Data on UFOs" provides a comprehensive history and analysis of cases in which UFOs have hovered over or landed next to mines, proving that at least in some cases, UFOs are here to mine Earth's metals. Nevada has been a UFO hotspot for more than 100 years. In this first book to ever present a comprehensive history of extraterrestrial encounters in the Silver State, you will find a dazzling array of sightings, landings, face-to-face encounters, abductions, and even UFO crash/retrievals arranged by decades. With eighty-four percent of the state owned by the Federal Government (more than any other state) Nevada’s military bases have been deluged by sightings. UFOs hovering in the heart of Las Vegas, dramatic UFO-car chases in the remote Nevada deserts, cases of aliens walking among us—they’re all here, and more. Read about Truman Betherum, who had a series of encounters with friendly humanoids, and country singer Johnny Sands, who had a face-to-face visitation with strange ETs in the desert outside Las Vegas. Find out about the 1962 UFO crash over Las Vegas and what really is going on inside the super-secret Area 51. The truth is so strange, it will be difficult to accept. With more than 130 years of UFO activity, New Mexico has produced some of the world's most famous and influential UFO encounters. 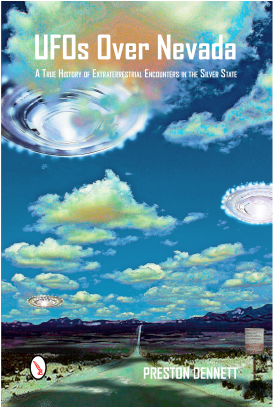 In this first book to present a complete history of extraterrestrial encounters in the Land of Enchantment, read about the Farmington UFO wave, the landing at Socorro, new developments concerning the Roswell crash, and the government's struggle to deal with an unknown presence hovering over sensitive atomic installations and military bases. Sightings, landings, UFO car chases, face to face encounters, abductions, and UFO crashes (which New Mexico has more of than any other state) are featured along with encounters documented by the military (including Project Bluebook). Other uniquely New Mexican mysteries such as cattle mutilations and the phenomenon known as "the Taos Hum" are explored in depth. Eyewitness testimony and startling photographs will leave you wondering about the skies over New Mexico and the strange things that frequent them. New York State is one of the most famous and influential places on the planet, so it should come as no surprise that it has a rich UFO history. The state’s first UFO sighting came more than 150 years ago, but it doesn’t end there! From important government military intelligence and commercial airline reports to downtown NYC sightings of flying saucers on Broadway and at the Empire State Building, UFOs have been witnessed in the New York State skyscape by some of the most credible people in history. Police officers, movie stars, businessmen and women, and others have all been privy to strange UFO encounters. Whether it’s Jimi Hendrix saved by aliens in upstate New York State New York or geologists investigating crop circles on the north shore of Oneida Lake, people are stepping up to tell their stories. It’s been said that famous blackouts, abductions, and special visitations have all occurred while normal New Yorkers have led their daily lives. So search the skies with us in this comprehensive history of UFOs Over New York. If you dare. The UFO phenomenon remains one of the most persistent and perplexing mysteries of modern times. Encounters have occurred for centuries and reports continue to come from around the world every year. UFO’s and Aliens describes the exciting history fo supposed extraterrestrial activity on planet Earth. The book documents such famous cases as that of the Washington Nationals; UFO landings and abductions, including the case of the Hopkinsville “goblins”; the enduring mystery of what crashed near Roswell, New Mexico, in 1947’ and much more. Everything from infamous hoaxes, to alien implants, to government cover-ups is documented here with the best evidence available so that readers can decide what may be fact and what is, indeed, science fiction. To many persons who are intrigued by the paranormal, alien abductions are simply the norm. It happens all the time. But this case is different. When Mike Evans was abducted, so were several of his friends who were attending a UFO conference with him on Coronado Island in 1994. But the differences don’t stop there. President Clinton and his Secret Service agents were on the island, staying across the street from the hotel where Evans and his colleagues were abducted. Was this entire event a government conspiracy? With the X-rays, MRIs, hypnotic sessions, various medical documents, and a forward by Roger Leir, M.D., the reader will find it difficult to shrug off this experience as simply nonsense. Finally, the evidence the paranormal community has needed to support its claim has arrived. This book represents the cutting edge of UFO research, with ten new and original firsthand accounts of very close contact with UFOs and aliens. The majority of these cases come from fully conscious recall, rather than memories retrieved through hypnosis. Several of the stories presents new information that is highly controversial and not commonly reported in UFO literature, from healings and benevolent encounters, to praying mantis-type aliens and military presence during an abduction. For more than 50 years, strange activity has been going on in the sky over Topanga Canyon. But the night of June 14, 1992 marked the beginning of a UFO wave of gigantic proportions. On that evening, more than 17 different witnesses observed numerous strange craft flying through the canyon. The activity would continue for more than two years and involve the entire range of UFO phenomenon including sightings, landings, UFO car chases, face-to-face encounters missing time abductions, government cover-up and more. Today, there are more than one hundred witnesses to the activity. Click here to read more. Buy the book here. The book covers the full range of the UFO phenomenon including sightings, landings, abductions and crashed UFOs. Many of the cases have never been published before. Each chapter includes artwork from award winning artist, Kesara. All sources are fully footnoted. With more than 5000 cases, California is the leading producer of UFO reports in the United States. Some of the world’s most important encounters have taken place in the Golden State. This book tells the fascinating and ongoing history of UFOs over California. Step aside Roswell: California leads the nation in UFO sightings and encounters, with over 5000 reported incidents from the late nineteenth through the early twenty-first centuries. Documented here are diverse early accounts, including Native American UFO encounters, the 1896 California Airship Mystery, and the 1942 Battle of Los Angeles. Hundreds of verified sightings include luminaries such as Sammy Davis, Jr., Cliff Roberston, Jill Ireland, and Ronald Reagan. Sightings and landings at California Air Forces bases include Edwards, George, Norton, and Hamilton as well as some over Los Angeles International Airport. Cases are described of healing and alien surgical implants and UFO landings, on dry land and off the coast. Color photographs of UFOs in flight and illustrations by award winning artist Kesara will leave every reader searching the skies, seeking the truth! This groundbreaking book is the first book ever to examine accounts of physiological improvements as the result of a UFO encounter. More than 100 cases are presented in which people have been cured by a UFO of illnesses and diseases ranging from the common cold to cancer. The cases are verified by UFO investigators, doctors and other officials. The book includes 186 pages, a forward by Dr. John Beresford MD, a chronology and analysis of the cases, footnotes and an index. To read more, click here. The book can be purchased here. This is a true story. The events described in this book really happened. As you read, you will follow the investigation as it unfolds into the unknown. You will experience the thoughts and emotions of the witnesses as they are plunged involuntarily into the world of the unexplained. You will feel their terror and horror, their excitement and fear, their awe and disbelief as they are confronted with realms beyond their comprehension. In this book you will find firsthand accounts detailing virtually every type of UFO encounter. You will find simple sightings of stars that move, intelligent fireballs, and unexplainable lights in the sky. You will find sightings of silvery, metallic ships hovering silently, emitting strange beams of light near the frightened witnesses. You will find accounts of spiritual UFOs, UFO contactees, and even Bigfoot encounters. You will find terrifying accounts of confrontations with apparently alien creatures, accounts of abductions aboard alien spacecraft, stories of the government study and cover-up of crashed UFOs and alien bodies, and much, much more. --a spooky exploration of one of the most haunted hotels in Greater Los Angeles, the Hollywood Roosevelt Hotel, including new eyewitness testimonies. Researchers estimate there are more than a hundred different ghosts here, at last count! --follow along with leading ghost researcher Syd Shultz as he investigates several hauntings at Universal Studios amusement park, where ghosts are open to the public! --visit the San Fernando Mission in Sylmar, and hear brand new accounts of the ghostly gaucho, a handsome cowboy who, for some unknown reason, remains bound to the location. --listen for mysterious voices and footsteps in the Moorpark Melodrama theater in Moorpark, or search for ghosts wandering Forest Lawn in Glendale or EVP in Hillcrest cemetery in Glendale. ---and much more including haunted bookstores, parks, roadways and private residences, along with an in-depth analysis of the cases. --also includes a comprehensive listing of 28 haunted locations in the Greater LA area (with addresses and directions, and ghostly history) that you can visit. Exciting illustrations by award winning artist Kesara bring life to the many compelling cases you will find in this book. 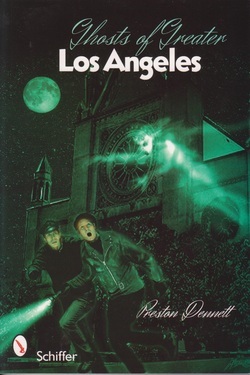 Whether you live in Greater Los Angeles, or are just visiting, this book offers a unique opportunity to not only read about ghosts, but to see them for yourself! Taller than a human, stronger than a bear, and smellier than a skunk, the enigmatic creature known as Bigfoot or Sasquatch has been the subject of eyewitness accounts for decades, yet no definitive evidence of the bear’s existence has ever been found. Although Bigfoot has been reported only in North America, similar unknown beings are said to dwell in Asia, India, and Tibet, where they are called Yeti. Reports of wild ape-men in Russia, South America, and other regions suggest that different types of unknown animals exist in a variety of locations worldwide. Bigfoot, Yeti, and Other Ape-Men recounts numerous encounters with these mysterious creatures, explains the methods and findings of scientific investigations of Bigfoot and other ape-men, and sheds light on various hoaxes. -A wide variety of methods used from different cultures that anybody – even you – can use to achieve the mystical state of levitation. Is levitation a reality? The answer is a resounding, yes! Human Levitation represents a significant contribution to our understanding of human potential and humanity’s place in the universe. If you have wanted to have an out-of-body experience but were intimidated by books on the subject, Out-Of-Body Exploring is for you! This is an entry-level-to-expert book-----everything from what OBEs are to how you can have your own anytime you want. Preston Dennett began his explorations beyond the physical body nearly twenty years ago in an attempt to contact his deceased mother. Hundreds of OBEs later (OBEs lasting anywhere from a few seconds to several hours) he turns his attention from mastering the art to helping others. This unusual volume is a guidebook to the weirdness of California, divulging the fascinating histories behind these locations and events, with interviews from firsthand witnesses. More than 60 illustrations and color photographs offer glimpses into wonders of the Sunshine State. Directions are provided. Fantastic journeys into the heart of Supernatural California are waiting. Are you ready? Do you believe in ghosts? Have you ever seen one? This chilling volume presents twenty-six true, first-hand cases of spooks, spirits, and hauntings across the state of California, each published here for the first time. Each case is told in the witnesses own words and is illustrated by award-winning artist Christine “Kesara” Dennett. Learn What happens when homes are built over a Native American Burial Ground. Read how it feels to be hugged by a friendly ghost. Find out what to do when a ghost tries to choke and possess you. A full range of phenomena are presented, some of them are funny, some are scary, and some are absolutely bone-chilling. But all of them are true. Whatever you do, don’t read it before bedtime!